Tŷ Hafan has teamed up with Wild in Art to stage this spectacular public art trail across Cardiff. For ten weeks during autumn 2017, a pack of Snowdogs will take over the city’s streets, iconic buildings and open spaces. Standing at 1.5m tall, each of these large fibreglass sculptures will be individually decorated, fixed onto a concrete plinth and transported to their temporary home at a point along the trail for all to enjoy. 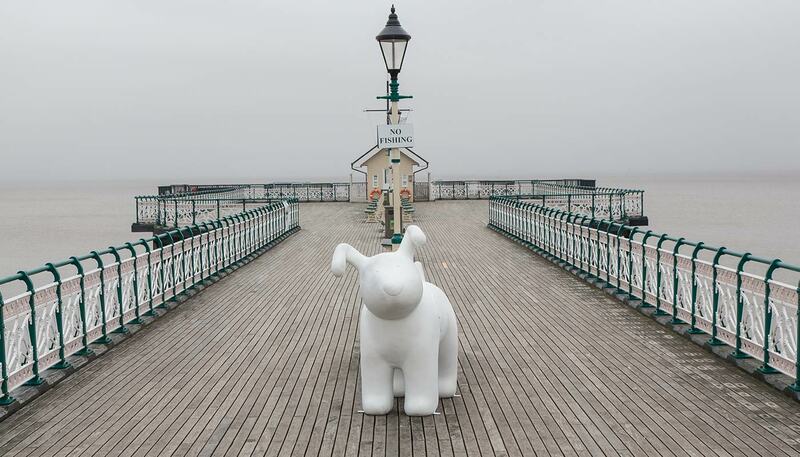 At the end of the trail, the large Snowdog sculptures will be sold at auction to raise funds for Tŷ Hafan. Local schools, adult learners and community groups will also be invited to sponsor and design a little Snowdog to feature on a mini trail. The pup will be theirs to keep at the end of the event. Why Snowdogs: Tails in Wales? 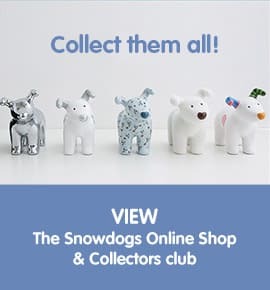 The theme of Snowdogs: Tails in Wales is based on the much-loved novel and animated film, The Snowman™ and The Snowdog, based on characters created by Raymond Briggs. It’s the story of a little boy who is mourning the death of his pet dog and is comforted when the Snowman and Snowdog he builds mysteriously come to life and take him on a magical adventure. We were particularly drawn to the themes of dealing with loss and friendship in The Snowman™ and The Snowdog, which relate to the support we offer at our hospice in Sully and in communities across Wales. At Tŷ Hafan, we do everything in our power to make sure that a short life is a full life. Our care team works extremely hard to relieve the pressures of 24/7 care from parents so they can spend quality time with their children, creating special memories that last a lifetime. Through our Snowdogs: Tails in Wales trail, we aim to get friends and family and local businesses engaged in a fun activity that gets them out in the open air, exploring their city and making their own precious memories along the route. Since 2007, Wild in Art events have been enjoyed by millions of people across the UK, generating a sense of pride and community cohesiveness in their host cities and towns.